Here is one of our pre-Easter festivities. 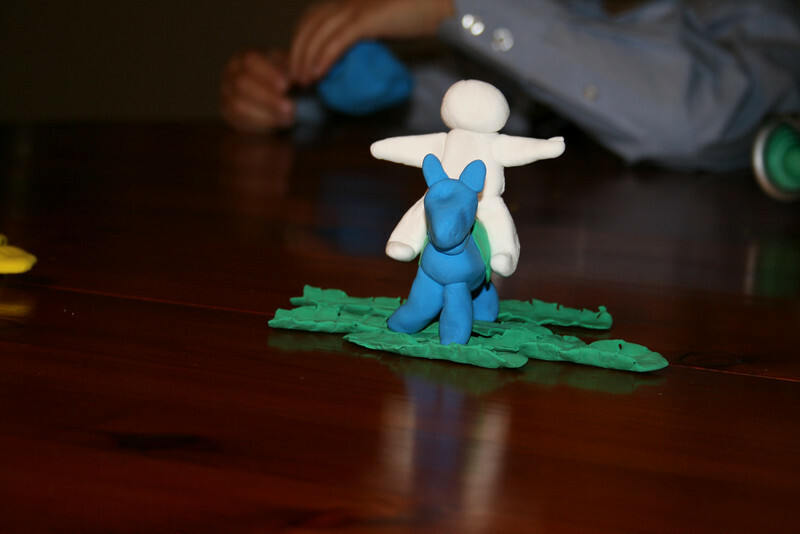 We started off the week by reenacting Palm Sunday with clay. Later in the week one of the children (most likely not Jayden) ripped Jesus up and threw Him on the floor. Should I be worried?